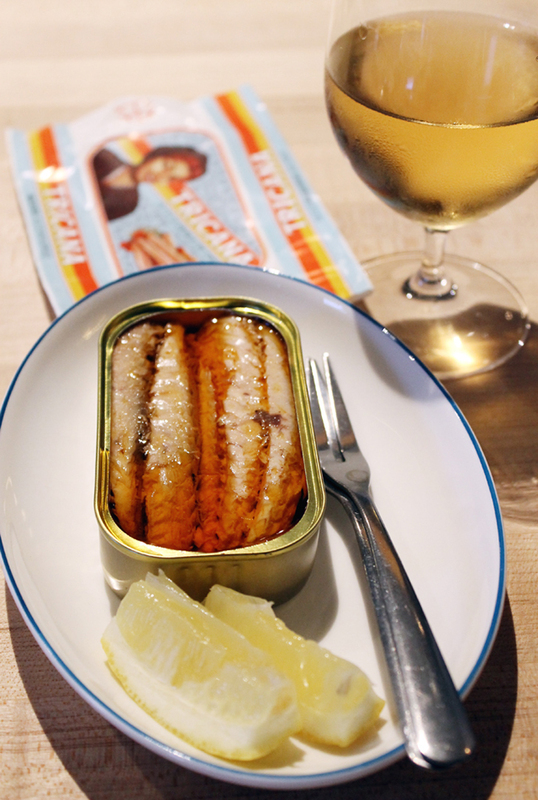 Portuguese mackerel conserva and a glass of natural wine make a perfect nosh at Verjus. Should you be adding to your Allbirds collection at the trendy shoemaker’s only San Francisco store, you need to pivot afterward to Verjus. 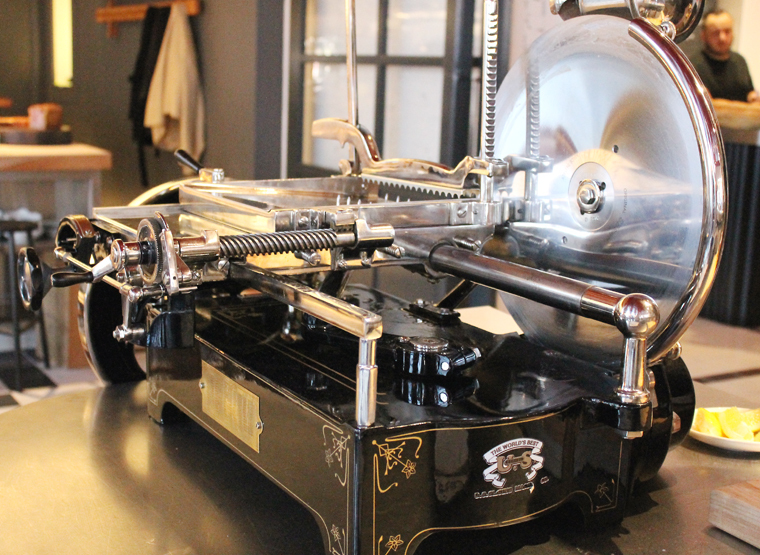 Should you be browsing the stylish watches at nearby Shinola, you need to follow it up by taking a seat at Verjus. 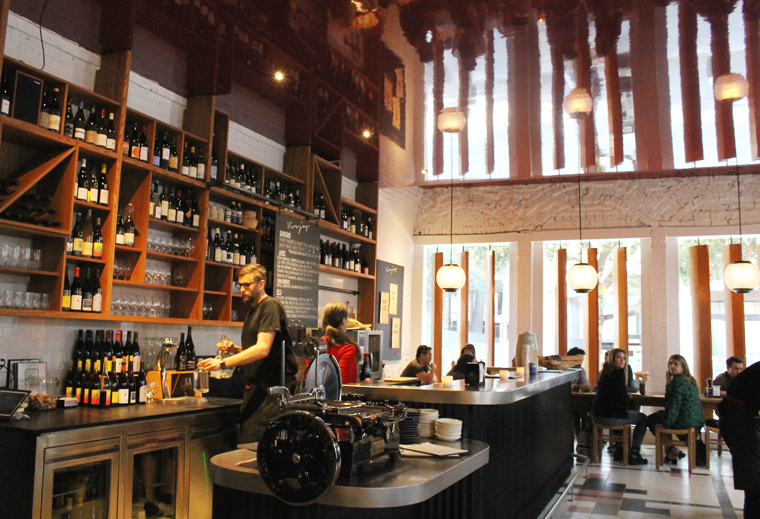 Basically, if you’re anywhere in San Francisco’s Jackson Square — or even farther afoot — you need to make a beeline to this natty new wine bar by Lindsay and Michael Tusk of acclaimed Quince and Cotogna restaurants. If you know the couple’s two other San Francisco establishments, you know they don’t do anything halfway. Verjus, which opened in January just a short stroll from Quince and Cotogna, takes the concept of a wine bar and improves on it royally with one of the largest collections of natural wines offered in the Bay Area, along with a menu of classic European bistro-type food done impeccably well. Yet the vibe is as laid-back as you’d want. 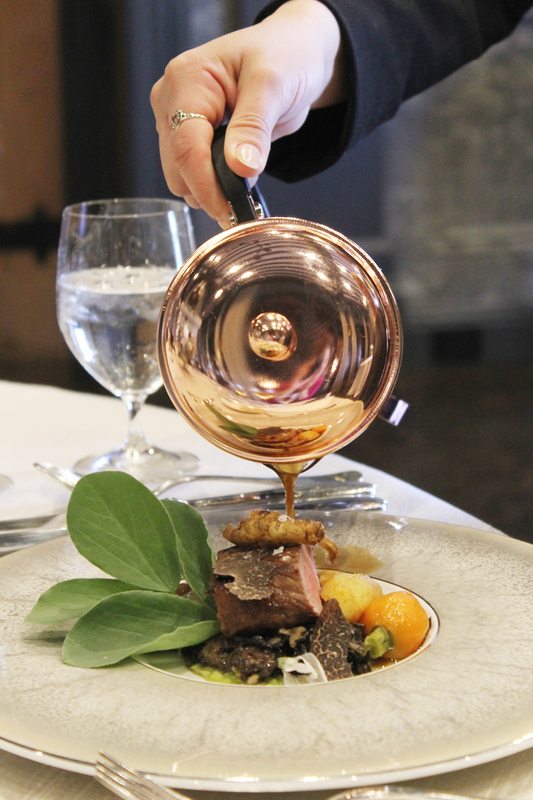 There’s a hidden refinement to everything that bolsters the experience without ever turning it stuffy or pretentious. I had a chance to see for myself, when I was invited in as a guest of the establishment recently. 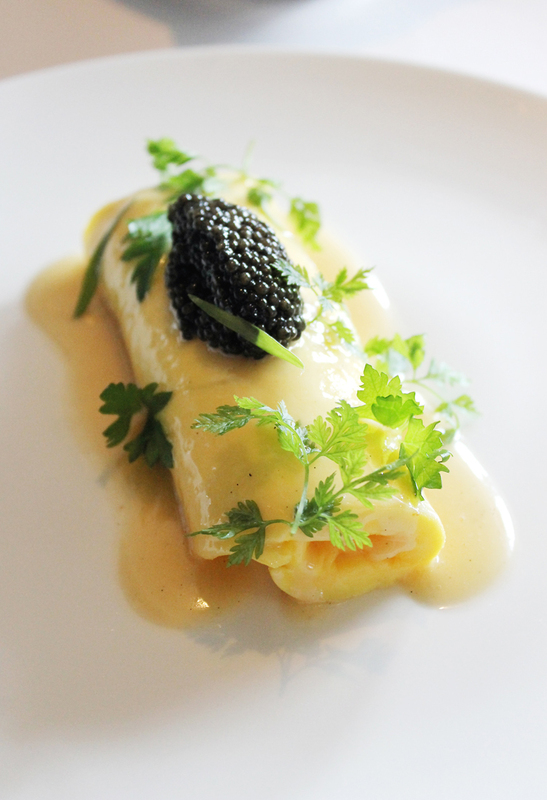 Start your Sunday with a French rolled omelet with caviar at the Village Pub. This is not one of those brunches where you line up for an hour for dollar pancakes or a Grand Slam special. Nope, this is brunch done up posh. At the Village Pub in Woodside, its sumptuous a la carte brunch involves truffles, lobster, caviar and even a mimosa cart wheeled to your table. You will likely drop more on a Sunday morning here than you would at dinnertime at many other places. But what a way to pamper yourself, friends and family. 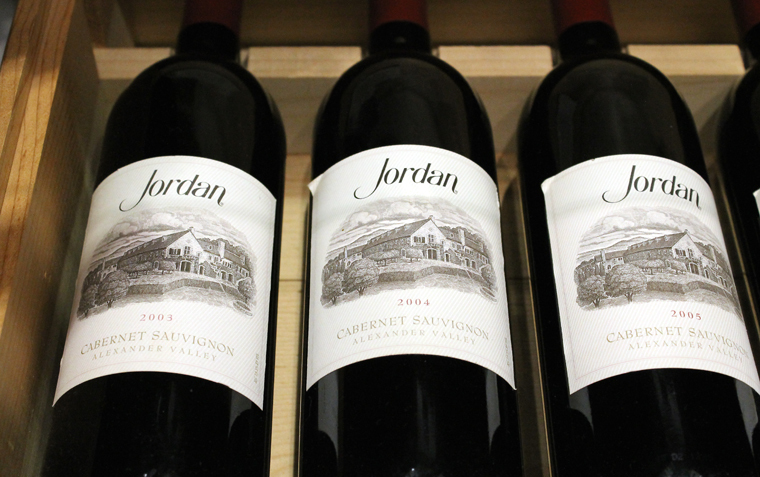 It is a guaranteed way to feel ultra special on a Sunday. So naturally, when I was invited in as a guest of the restaurant, how could I refuse, right? The dining room just after 11 a.m. on a Sunday. 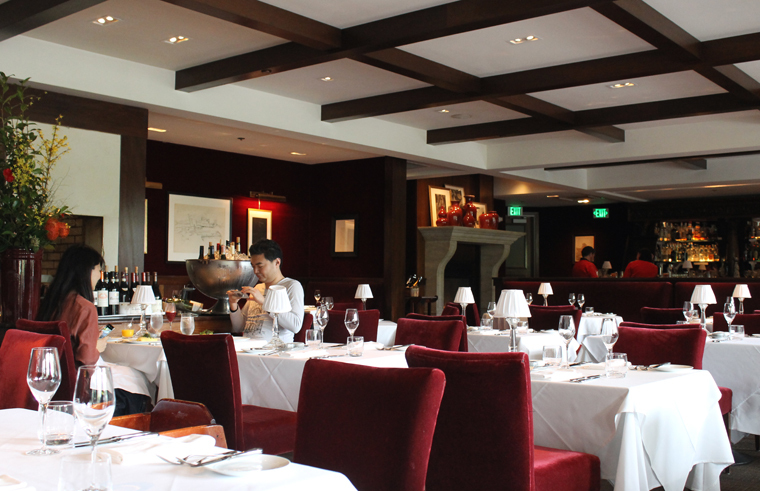 Take a seat in a burgundy velvet plush chair at a white tablecloth-draped table. 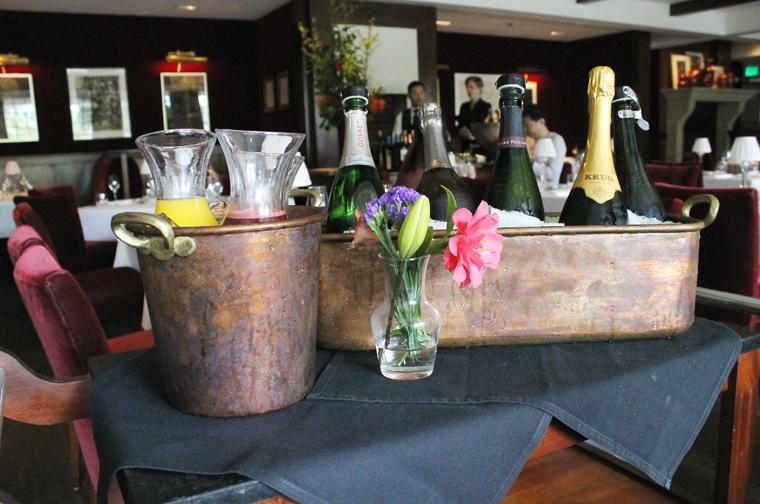 The mimosa cart will come by with your choice of Champagne and fresh-squeezed citrus juice. 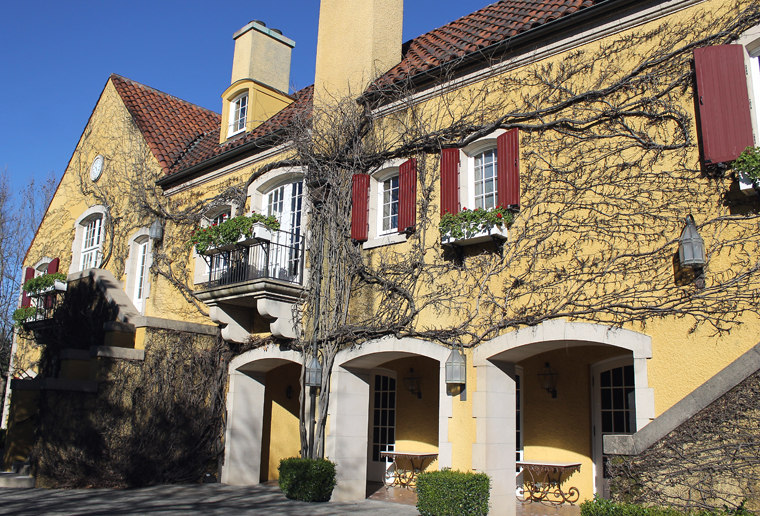 A place loved by locals and tourists alike. You know a restaurant has got it going on when it is packed on a Monday night. The start of the week is typically a sleepy night for most restaurants. 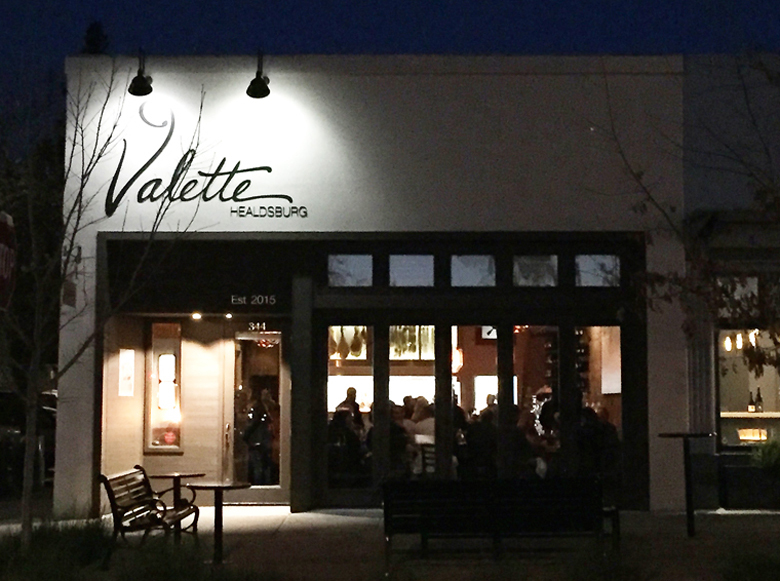 But not for Valette in downtown Healdsburg. 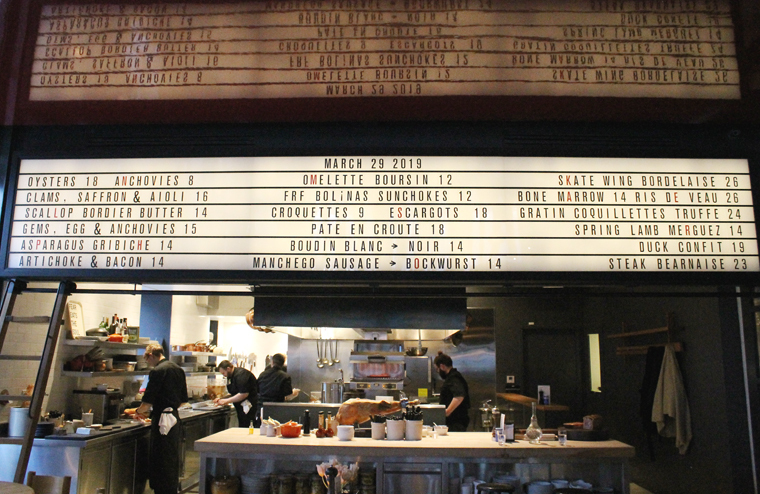 On a recent Monday night, when I dropped in to dine at the bar solo (paying my own tab at the end), the place was bustling shortly after opening at 5:15 p.m. Chef Dustin Valette and his brother Aaron Garzini opened the beloved restaurant in 2015 in the same property that their great-grandfather once owned. They turned it into a convivial space, with warm polished wood, big hefty leather bar chairs, and a golden glow from globe chandeliers. Dustin was off that night. But I did get to meet his father, who in his mid-70s, still flies for the state Department of Forestry, responding to forest fires, including the devastating fires in Napa and Sonoma in the last two years. 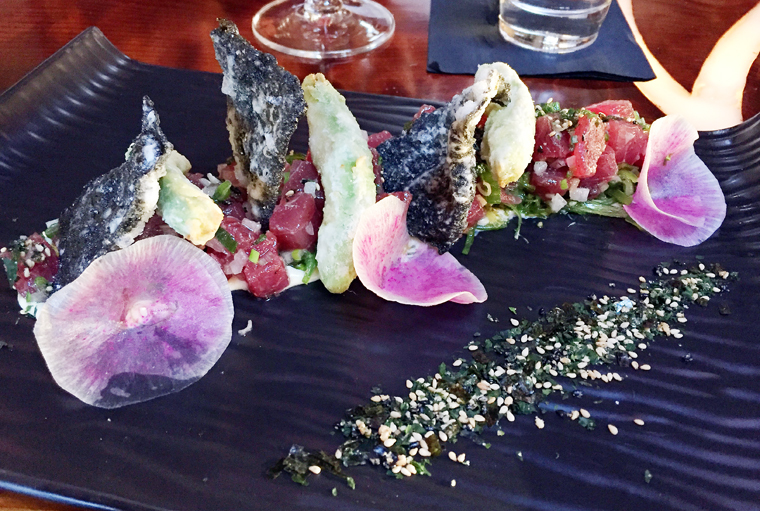 Ahi poke that stands out from the pack. When Dustin was a kid, his father would take him to school — dropping him off in his plane — because it was quicker than the school bus. How’s that for one cool ride? Ever tried a duck burger? You definitely should! Chicken and turkey make decent enough burger substitutes. But they ain’t got nothing on duck. 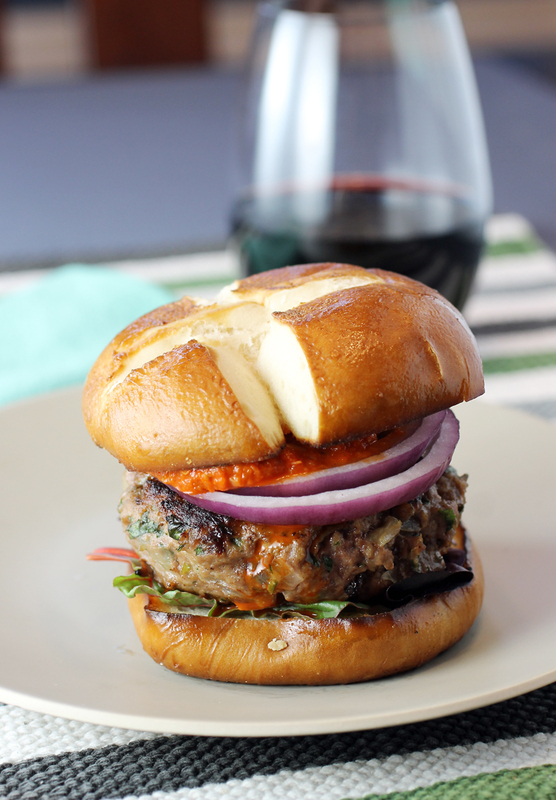 If you’ve never had a duck burger before, prepare yourself for a most righteous patty on a bun. 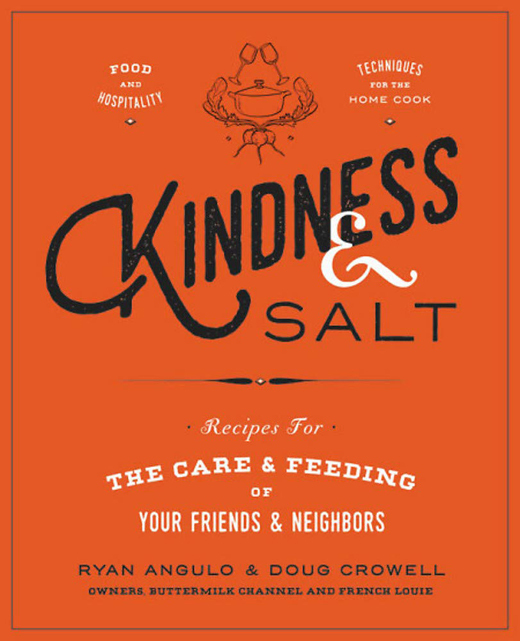 In the cookbook, “Kindness & Salt: Recipes for the Care and Feeding of Your Friends and Neighbors” (Grand Central Life & Style, 2018), of which I received a review copy, the recipe may be called “Duck Meatloaf,” but even authors Ryan Angulo and Doug Crowell advise that it can be eaten burger-style with a smear of mustard. The two owners and chefs of the popular Brooklyn spots, French Louie and Buttermilk Channel, have served this duck dish at the latter since it opened in 2008. The cookbook’s title refers to the two most important ingredients they believe that are needed to take a good meal into the realm of greatness.